Delightfully illustrated and printed on high quality paper, NOODLEPANT combines the silliness of a noodle-loving elephant with the important lesson of standing up for equality. Charming, sweet, and great for kids AND adults! Noodlephant won't let this stand--Noodlephants can't survive on sticks and branches, after all. Determined to do something to push back against an unjust law, she and her friends invent a machine that transforms pens into penne, pillows into ravioli, and radiators into radiatori. With that, the pasta parties are back But that very night, the kangaroos come bounding through the door... ready to enforce their unjust laws. 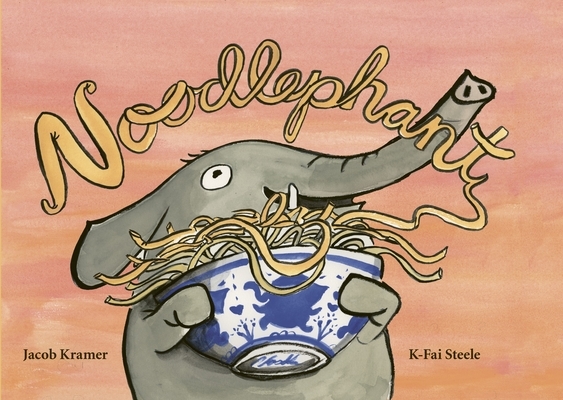 A zany tale full of pasta puns, friendship, and one Phantastic Noodler, Noodlephant, written by Jacob Kramer and illustrated by K-Fai Steele, explores a community's response to injustice.